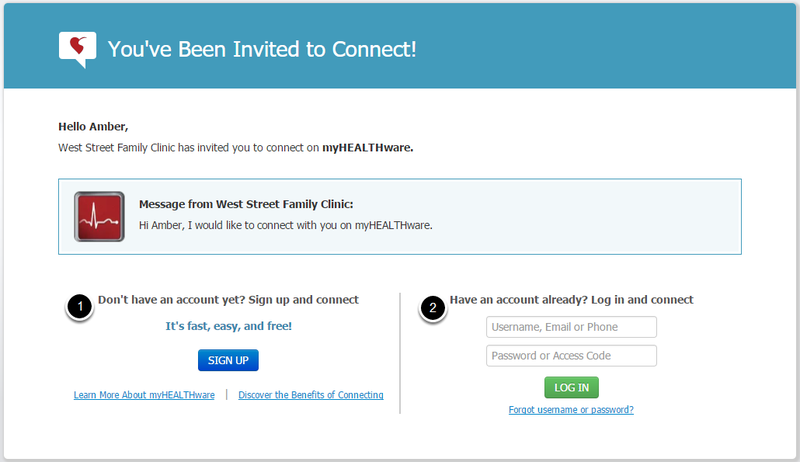 If you wish to invite the new non-patient contact to connect with you on myHEALTHware, open the contact, then click the myHEALTHware Connect button as shown in the screenshot above. 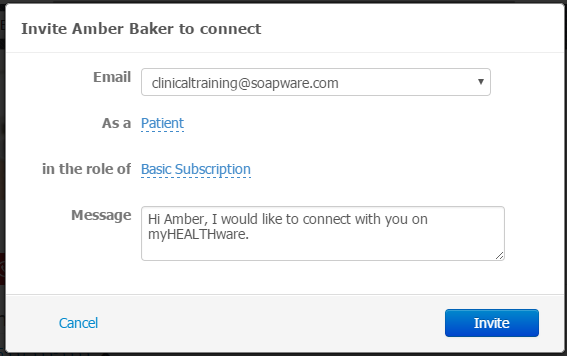 Connecting with a non-patient contact on myHEALTHware will allow you to send the contact secure, HIPAA compliant conversations to the contact using myHEALTHware. Enter the contacts email address and select a type (As a: patient or staff member) and role (in the role of:). At this time, the only type options are either Patient or Staff Member. You should select Patient for all contacts who are not actual clinic staff members, including for colleagues, referring or consulting providers, caregivers, etc. 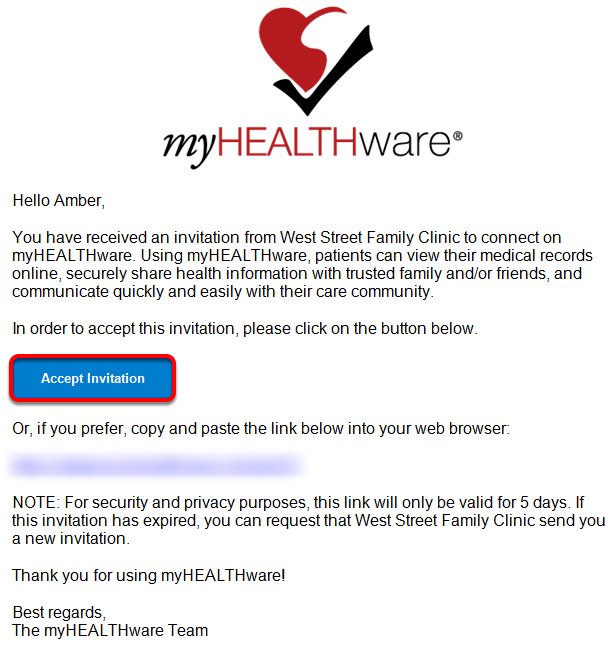 The person or organization contact will receive an email invitation to connect with you on myHEALTHware. The invitation email will be sent to the email address you specified in the step above. The contact should click the Accept Invitation button to connect with you. After clicking the Accept Invitation button, the contact will be asked to either (1) Sign Up for a new myHEALTHware account OR (2) Log In with an existing myHEALTHware account. 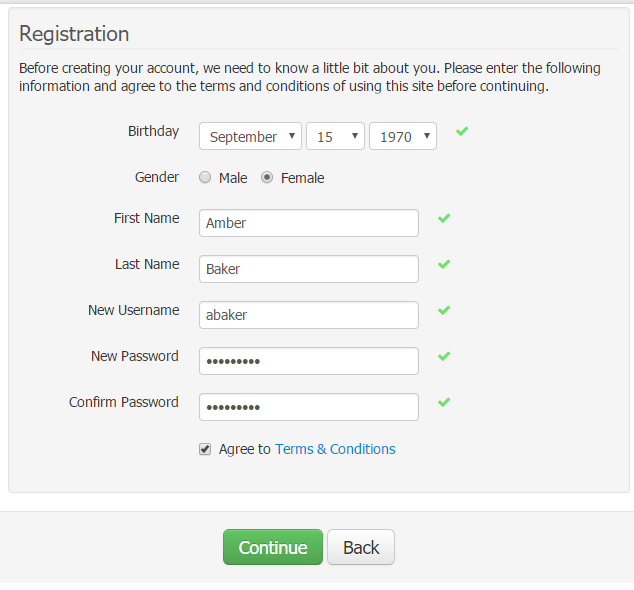 If the user clicks Sign Up to create a new myHEALTHware account, they will be asked to complete the Registration screen, then click Continue. After clicking Continue, the user will be logged in to their new myHEALTHware account and will be able to connect with the inviting user. If the user selects to Log In to an existing myHEALTHware account, they should enter their existing User ID and Password. 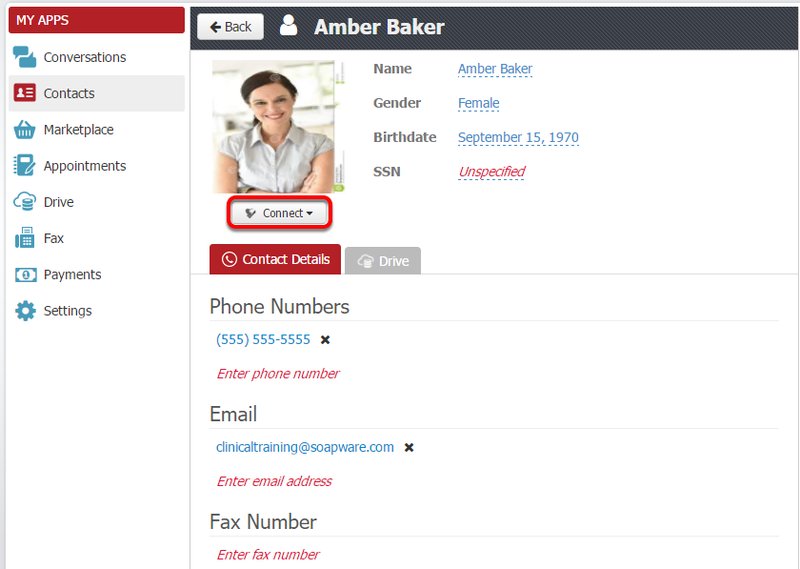 The user will then be presented with the New Contact screen, which will display the Type and Title (clinic name) or Name of the organization or person that is being connected. Press Continue.